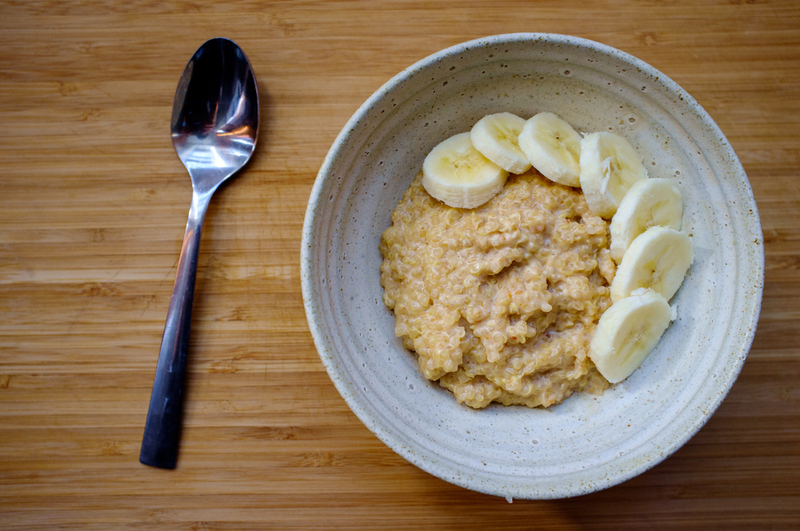 Quinoa porridge is a warm and cozy dish, perfect for the cool mornings that are upon us. It's also a great way to use leftover quinoa, which, if you're like me, you might make in batches often. Obviously I needed to test out a version that incorporated peanut butter, because, it's true, I love anything peanut butter. Combine all ingredients in a pan, using a whisk to mix in the peanut butter and honey. Bring to a simmer over medium-low and cook, stirring frequently, for 5-7 minutes or until the mixture just begins to thicken. Try not to overcook. Immediately serve along with your preferred toppings.